Goolburri has an accredited general medical practice, available to provide medical care to Aboriginal and Torres Strait Islander and non-Indigenous people. The types of services delivered under Primary Health Care include health promotion, prevention, screening, early intervention, GP management plans, follow-ups and treatment. By working with Allied Health professionals, Dentists, Primary Health Care providers, nurses and other Community Health Services, we can provide you with holistic care. Our services can be provided in your home or in community based settings such as our General Practice in Toowoomba. 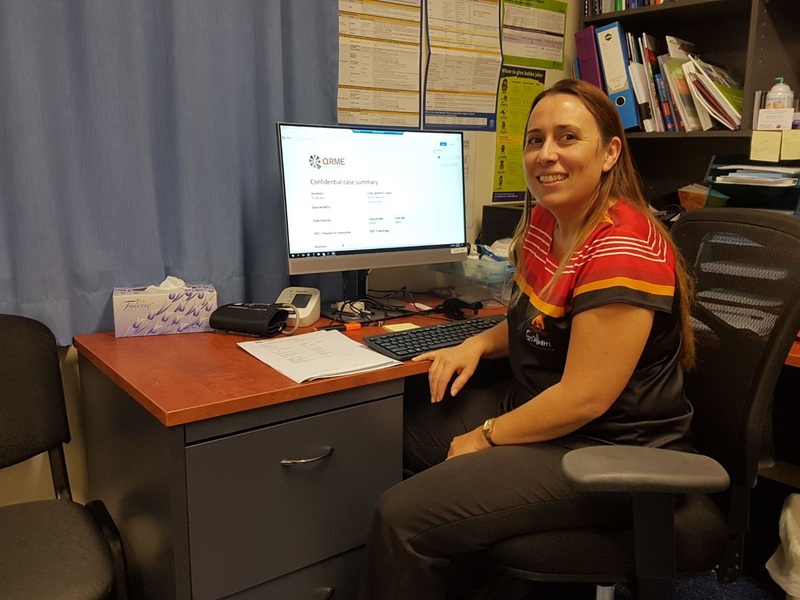 Our Primary Health Care Team is committed to providing holistic and comprehensive services to the Toowoomba community with a predominant focus to improve the health and wellbeing of Aboriginal and Torres Strait Islander people to meet the targets of the closing the gap strategy. Goolburri provides health assessments for Aboriginal and Torres Strait Islanders (Medicare MBS item 715). These services are bulk-billable for Aboriginal and Torres Strait Islanders. This assessment covers key areas relating to physical, psychological and social and emotional wellbeing. It assesses preventive health care, education and other assistance that can help you improve your health and wellbeing. Click here to find out the services that are available under this schedule. The length of booked appointments is suited to the individual’s needs. Longer appointments are available on request or for new patients or health checks. Emergencies are given preference over other appointments. We have an appointment system and make every effort to accommodate walk in patients, who will be assessed according to priority needs. Please be aware that walk in patients may experience a delay in waiting. Our doctors are happy to take phone calls from patients if they are available. If not, the doctor will return your call as soon as possible. Your GP may be able to refer you to specialists and Allied Health Services. Please discuss this with your doctor during your appointment. Transport service is for existing clients of Goolburri and you must be referred by the Primary Health Care Team. The client must advise their pick-up location at the time of booking their appointment. The client must be waiting at the front of the premises at the correct time and location, as per their confirmed appointment. Please note: Transportation finishes at 5:00 pm, or assessed according to the need of the client. As a mixed billing practice, our billing schedule includes bulk billing, gap fees and private consultation fees. The Pharmaceutical Benefits Scheme is an Australian Government scheme that subsidises the cost of a wide range of prescription medicines. All Australian residents and eligible overseas visitors can access affordable medicines through the PBS. The Practice Incentives Program aims to support general practice activities that encourage continued improvements, quality care, enhance capacity, and improve access and health outcomes for patients. There are ten individual incentives in the PIP, including the Cervical Screening, Diabetes and Indigenous Health Incentive. For further information visit Australian Government Human Services website.